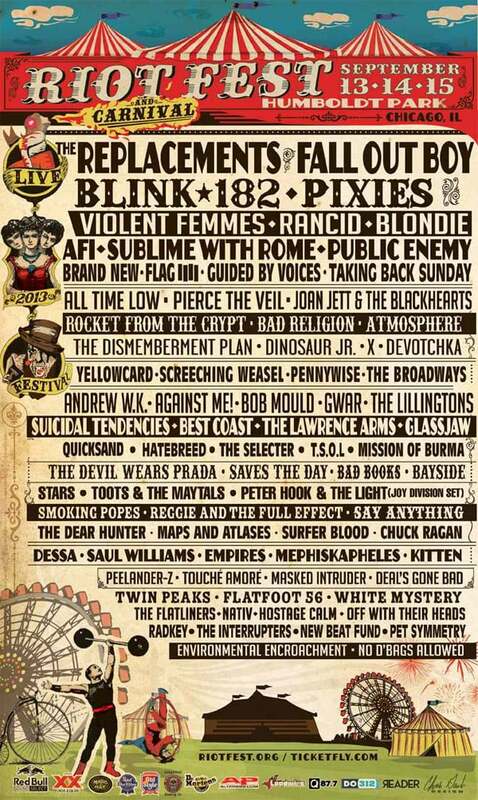 ReadJunk.com and Riot Fest are giving 1 lucky ReadJunk reader the chance to win 2 three-day tickets to Riot Fest Chicago (September 13,14,15 at Humboldt Park in Chicago, Il). This contest is JUST for tickets, don’t expect to be flown to Chicago and put up in a hotel so you’re gonna have to figure out that part on your own. To enter the contest, you have to take a picture of yourself holding up a ReadJunk sign, picture, poster, etc, banner and post it to Twitter and/or Instagram. The picture has to make me laugh or be creative in some way so it better be good! Just no pictures of your junk, ok Carlos Danger? Make sure you include @readjunk #readjunkrocks #riotfest at the end of your tweet/instagram. After you take the picture, email us the link to your twitter or instagram post along with your address. The winners will be notified by e-mail and their names will be posted on this page. 1) Please send all contest entries to contests@readjunk.com along with your tweet/instagram links to your pictures. 2) The subject must have “Riot Fest Contest”. 3) Make sure you Like ReadJunk.com on Facebook and Follow us on twitter. 4) All contests are USA only, unless you want to pay a shitload of money to fly to Chicago. 5) When the contest is done on August 14th, I’ll go through the pictures and pick the one that is the funniest and most creative. 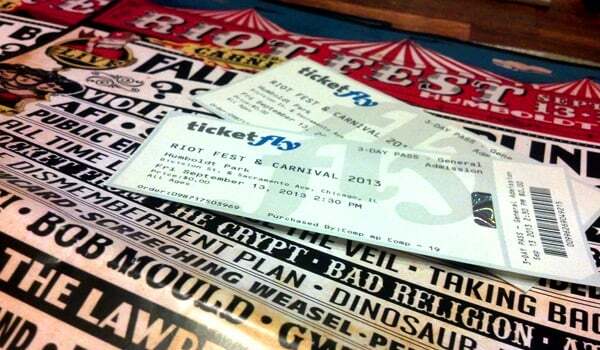 6) If you win, you’ll be contacted on email and I’ll send you the tickets along with a Riot Fest posters.